Posted in Ally Spotlight, I Own and tagged Agent, cole taylor, gift, Home, Home Buyers, Home Experts, mortgage, Philadelphia Real Estate, Real Estate, REALTOR, refinance, starbucks. Bookmark the permalink. Having Capri as your real estate agent is like instantly having a new, very smart, best friend to help you make one of the most important decisions of your life. As first time homeowners she was fantastic at educating us on the process and made us feel completely comfortable asking dumb questions and asking them often. Capri also has an extensive network of professionals that helped us along the way. Anytime we had a concern, she knew someone who could help.She is incredibly patient and flexible. She took us on showings for at least once a week, often 2 or 3 for almost 5 months. Capri always found the time to work in a showing and she always made us feel like we were her only clients. She gave her honest opinion on properties and never pressured us on anything. I’m convinced that after a couple of weeks getting to know us, Capri knew which properties were right and wrong for us before we did but amused us with showings on opposite sides of the city anyway. Most importantly is that Capri kept the process fun and positive. As a self -proclaimed worrywart, having Capri in our corner let me enjoy the hunt. Before we saw any properties, Capri told us that our home would find us and not to get discouraged, even if deals fell through, in the end it would work out for the better. At the time I didn’t understand that but when we found two houses that we thought were “the one” and each didn’t work out we channeled Capri’s positive energy. She was completely right. Now that we are all moved in to our house, I couldn’t even imagine living in the first two. Thank you so much Kristin and Scott for your fantastic review. I am so glad that who I strive to be is exactly how I am perceived! If you would like to read more of my reviews on Yelp you can click here. Currently many of them are “filtered” but as more reviews come in, the other should migrate to the main review page. Posted in I Own, I Rent, I Want to Own and tagged ABR, Agent, Capri, d'amario, First Time, First Time Home Buyer, fishtown, For Sale, Home, Home Buyers, Home Experts, Home Inspection, Homes, mortgage, Philadelphia, RE/MAX, Real Estate, REALTOR, trulia, yelp, zillow. Bookmark the permalink. 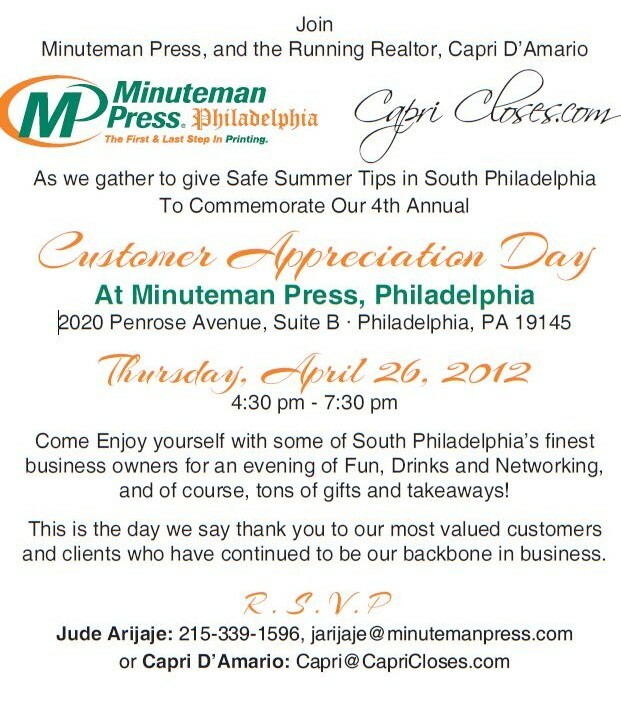 Client Appreciation Party Celebrating Summer Safety this Thursday! All clients, friends and family invited! Posted in Events, I Own, I Rent, I Want to Own and tagged ABR, Agent, ALHS, First Time, First Time Home Buyer, Home, Home Buyers, Home Experts, Homes, Philadelphia, RE/MAX, Real Estate, REALTOR, south philadelphia. Bookmark the permalink. “Pride of ownership” is the theme of this listing. Walk down the street and see the neighbors meticulously cleaning their street and their stoops. Walk through the gorgeous new brick front to reveal a sunny home that has been lived in and cared for by the same person for over 80 years. While the home has many original features like detailed woodwork and hardwood floors, much of it has also been renewed and repaired. If you want to feel what pride of ownership feels like, then this is the block you want to be on and the home you want to be in! 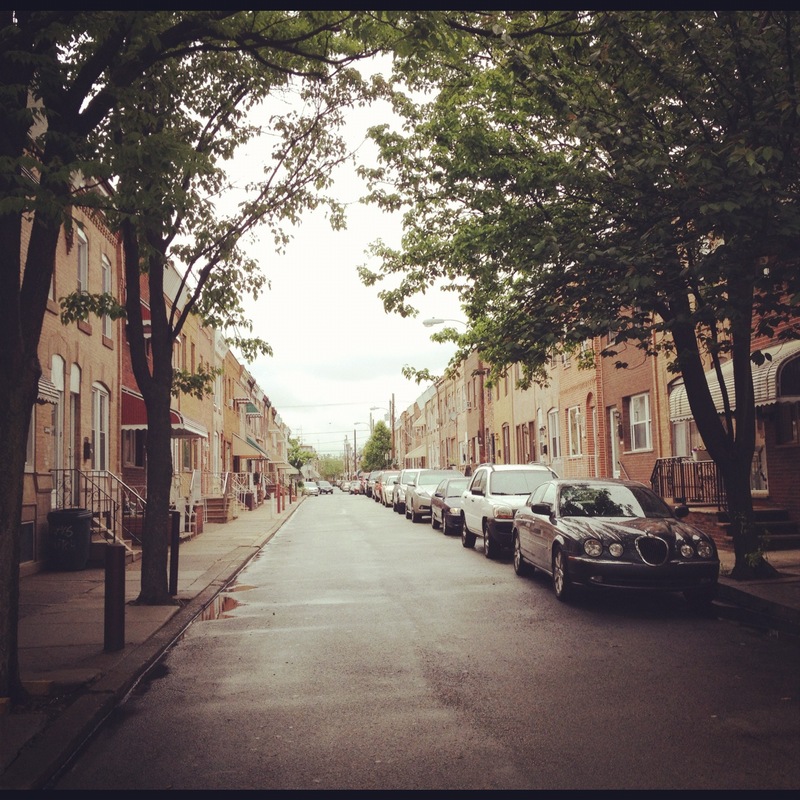 Posted in I Rent, I Want to Own and tagged ABR, Agent, ALHS, First Time, First Time Home Buyer, For Sale, Home, Home Buyers, Home Experts, Homes, Jessup, mortgage, Philadelphia, RE/MAX, Real Estate, REALTOR, remodeling, south philadelphia, South Philly. Bookmark the permalink.